During Alfred the Great's reign of 871 to 899, he, the King of Wessex protected his Kingdom against the Danes by setting up a system of defended places or 'Burhs'. The 'Burghal Hidage' set out the requirement for a network of fortifications. The size of each burh was ascertained from the rate (hidage) at which it was assessed, the stated length of the defended boundary and the number of armed men required. The burh was thus an assembly point for the local levy and a refuge. 'Bridian' or the place at 'Bridi' was one such secure place. However, it appears that this defence was originally further east of the current location of Bridport, probably being centred on the River Bride. It may have then been moved to a more consolidated defence establishment to the west, at 'Brydian' on the River Woth or Wooth, later to be renamed the River Brit. Further evidence of this is recorded in the Doomsday Book of 1086, whereby the village of Burton Bradstock was recorded as 'Bridetona', meaning the 'Village of the River Bride'. By the time of King Athelstan/Ethelstan's reign of 924 to 939, the first true King of England (controlling all of England except Cumbria), Bridport was licensed to mint coins, which also implies mercantile and trading interests, i.e. Brydian had become a 'Market' town. By the time of the Doomsday Book in 1086, the word 'Port' had been added to the town's name (implying a trading town, as opposed to having a harbour or port). The Domesday Book also recorded the scale of damage to Brideport between 1066 and 1086. 'Before 1066 there were 120 houses, now there are 100 houses there, twenty have been so neglected that those who live in them are not able to pay tax'. The bitter conflict between English townsmen and their new Norman masters had left several Dorset towns in ruins. The Doomsday Book appears to suggest that ownership of the West Bay area around the 11th Century was split between Symondsbury holding the west bank of the River Brit for the Abbey of Cerne and the Manor of Burton Bradstock holding the east bank for the Crown. However, medieval records indicate disputes over both beaches and harbour involving a third party upstream on the River Brit, the Burgesses of the Borough of Bridport. 'Right of Wreck' was a contentious issue, the Abbot of Cerne and the Prior of Frampton (for Burton Bradstock) apparently often taking legal action against the 'Borough' for removing wrecks from the foreshore. Documentation indicates that in 1150, the keeper of Bridport Castle was taken prisoner by the future king of England, Henry II. At that time, the keeper's loyalty would have been to King Stephen of England, following Stephen's invasion of the town. The original castle construction was probably of timber, but whether its position was at the Old Castle (present location of Bridport Museum), or further south at the location of the Chantry is unclear. At that time, the defended area of Bridport was probably a rectangular piece of land about 300 metres wide, straddling the current position of South Street. Its southern boundary would have been at the current position of the Chantry and northern boundary at the Old Castle (Bridport Museum). This makes the probable location of the original Bridport Castle at the Old Castle, as this would have been the highest point of defended land. Castles were usually built on high land to make defence easier. Claims to a Bridport Castle are also indicated on the Corporation Shield, which includes a castle standing on wavy blue lines in its design. The apparent portcullis in the entrance to the castle is actually spinning cogs, a reference to the town's main industry. From the 13th Century, the site of the Bridport Museum was known as 'Castlehay', further strengthening the theory of a castle. However, there is no archaeological evidence that a Bridport Castle ever existed. In 1211 King John commissioned, according to 'Bridport weight', for large supplies of hempen thread to produce ships' ropes and cables, due to the imminent war with France. Two years later King John ordered that there be 'made at Bridport by night and day, as many ropes for ships both large and small as they could'. Ropes from Bridport had many other uses and the term 'To be stabbed by a Bridport dagger' merely meant to be hanged at the gallows! A small priory was set up in 1265 for Carmelite Friars in Bridport. They were robed in white and went out into the community to preach. However in 1365, Sir John Chideock was refused a licence to establish a larger 3 acre friary, on the grounds of protecting the Church of Bridport. The friars appeared to abandon Bridport from this date. Records in 1272 indicate the River Brit was navigable as far as Bridport at high tide by small flat bottomed ships, suggesting that a small harbour existed a mile inland on the (at the time) southern boundary of the borough. In 1280, Bridport claimed all rights to sea wrecks on the beaches and then in 1288, claimed rights to 'Take tolls from all Ships'. Bridport was land-locked, the only access being along the River Brit. Boroughs achieved their status by charter through the Court of Chancery, purchasing from the Crown certain liberties and rights to manage their own trade, market, port tolls and justice. Bridport was granted its borough charter in 1253 during Henry III's reign, though its status was recognised before this time. East Street and West Street were added at the northern end of the town's South Street during the 13th Century and probably developed from the old Dorchester to Exeter Roman route. These streets were deliberately made wide for the drying and twisting process of rope making, the ropes being hung across the streets. The area around Bridport was excellent for growing hemp and flax, for rope and sail production. The Chantry in South Street is thought to be the oldest surviving building in Bridport. Built in the 13th or 14th Century, evidence of this medieval tower house suggests that it probably originated as a beacon for ships. If a vessel approaching Bridport Harbour kept the tower in view, it would avoid the two underwater reefs of the Ram and Pollock, which lie on either side of the harbour approach (note that the River Brit estuary was further east at that time, close to the foot of East Cliff). In 1369 the building was converted into a chantry (a priest's house). By this time there were friars in Bridport preaching the bible. From 1395, Bridport was represented in Parliament by 2 MP's. In the early 16th Century, during the reign of Henry VIII, it was ordered that all cordage for the English Navy should, for a limited time, be made at Bridport or within 5 miles of it and nowhere else, the act of which was confirmed by almost every parliament for a further 60 years. In 1554, Elizabeth I confirmed the right for Bridport to hold a twice weekly market and three annual fairs of Old Lady Day, Holy Thursday, and Old Michaelmas. The markets still survive, on Wednesdays and Saturdays. However, only one fair is still active, that of the town's annual carnival in August. In 1619, James I incorporated Bridport by granting a mayor and corporation. Then in 1623, Bridport was granted its 'Coat of Arms'. In around 1625, the plague reached Bridport. In 1651, Charles II was almost captured by troops at the 'Old George Inn' in East Street after his defeat from Oliver Cromwell at the Battle of Worcester. In 1685, the Duke of Monmouth's first conflict occurred at the 'Bull Inn' in East Street during his failed attempt to overthrow his uncle, James II from the throne. Colonel Venner was shot and wounded by the King's militia from the now bricked up window of The Bull. At the junction where East Street meets South Street had been the ruins of St Andrew's Chapel, built in 1260. Part of the chapel had been converted into a dwelling house, part being the sessions house over which was a free school, a further part was a cell for criminals and part was in ruins. It had a low tower, with the remains of the Chancel serving as a clock house. In 1786, at a cost of almost £3,000, St Andrew's Chapel was demolished and replaced with Bridport's Grade I listed Georgian Town Hall and Market House. The cupola and clock were a later addition in 1806. Running through the structure of the Town Hall are ten ship's masts. The upper story accommodated a court for borough sessions, a separate room for the grand jury and a council chamber. These facilities had previously been across the road in the Guildhall, at 1 West Street. The ground floor (Market House) was originally an open area, housing up to 37 Bridport butchers stalls, now only one shop. This area replaced The Markett House (The Shambles, or Butcher Row) which had been situated outside the Guildhall, straddling West and East Streets and presenting a health hazard, consisting of many butchers' market stalls along the side of the road and obstructing traffic. There still remained a lack of space, so the corn and produce market had to be located behind the Town Hall in an elongated octagonal single story building, demolished in 1946 after being used to house the local fire engine. A new cattle market location was found on the corner of West Street and Victoria Grove. The passage between Bridport Town Hall and the Greyhound Inn was called 'Bucky Doo', though the area behind the Town Hall previously occupied by the corn and produce market was only referred to as 'Bucky Doo Square' from about 1995. Doctor Giles L. Roberts, a Methodist and apothecist in Bridport, produced a widely used ointment in the early 1800's called the 'Poor Man's Friend', the recipe now being held at the Bridport Museum. He converted the Old George Inn into a pharmacy (now the Cancer Research charity shop). In 1837, parish boundaries were changed. Bridport Municipal Borough Council was granted control of West Bay as far as the foot of east and west cliffs. A strip of land from the east bank of the River Brit to just east of Harbour Road (now known as West Bay Road), linking Bridport to West Bay was also passed over at the expense of Burton Bradstock and Bothenhampton Parishes. Symondsbury and Burton Bradstock had previously shared parish control of Bridport Harbour (West Bay). No. 32 South Street, a substantial early 19th Century three bay, three storey house with attic, was originally owned by Stephen Whetham, owner of Priory Mills. The building had extensive grounds at the rear, formed by amalgamating two burgage plots. Later, the house was used as offices for the Bridport Rural District Council. Then in 1974, ownership was transferred to the Bridport Town Council, while the grounds became the Borough Gardens. More recently, until the year 2000, West Dorset District Council located its Tourist Information Centre there. On 12th November 1857, the Bridport Railway Company opened its branch line from Maiden Newton, through Powerstock to Bridport. An operating licence for the line was awarded to the Great Western Railway, who were to later take overall control of the line and extend it down to West Bay. Ultimately, on 5th May 1975, the line was to close after having become Dorset's last branch railway. In October 1863, an earthquake hit the West Dorset coast at around 4:00am. In 1868, the number of MP's representing Bridport was reduced to 1 and then lost all representation in Parliament in 1885. During the First World War (1914-1918), steel wire anti-submarine nets were manufactured in Bridport. Bridport Pageant 1953 - To celebrate the 7th Centenary (700 years) of Bridport's Royal Charter (1253) and the Coronation of Queen Elizabeth II, Princess Margaret visited the town on 25th June. Bridport supplied the goal nets for England's football World Cup victory in 1966 and also supplies Wimbledon's tennis court nets. In 1987 the Bridport Bypass was opened, thus diverting the main A35 Dorchester to Honiton road around the south side of the town instead of through the traffic bottleneck of East Street and West Street. The Old Castle (museum building) is believed to date back to the 16th Century, from an old Saxon castle that once stood there. The only remains is the facade, this probably being the position of the old Saxon town's northern entrance, an obvious place for fortifications. The current building was seriously damaged by fire in 1876, but carefully restored. In 1931, Captain Alfred Percy Codd purchased the Old Castle for £1,800 then donated it to Bridport Borough Council in 1932 with the understanding that his paintings and drawings would be displayed there. He was famous for copying many of Turner's paintings in the National Gallery between 1895 and 1899. The Council administered the running of the museum until 1974, then taken over by West Dorset District Council. 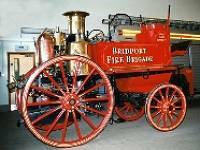 In November 2002, the Bridport Museum Trust was set up and took over the running of the Museum and Local History Centre. The history of Bucky Doo or Buckydoo is uncertain. Bucky Doo is the passage beneath the Town Hall linking South Street to East Street, while Bucky Doo Square is the area behind the Town Hall in South Street. From the theories listed below, we can conclude with reasonable confidence that the origin of Bucky Doo probably stems from the medieval term 'Bocardo', referring to the lock-up at St Andrew's Chapel in 1260. In the past, South Street had accommodated numerous licensed premises, one such establishment in 1636 evidently being the 'Buck and Doe'. Some believe that the term comes from the medieval word 'Bocardo', the name considered to have been derived from a term for a syllogism (an argument/to reason), thus an awkward trap from which to escape. St Andrew's Chapel, built in 1260 and which had occupied the site, was known to have housed a small cell for criminals. In 1391 there was a Bocardo prison in Oxford. At around that time there had also apparently been an outpost of the Oxford University in Bridport. This theory is further strengthened by the fact that a number of scholars fled from Oxford in 1238 when the Papal Legate's brother was killed in a brawl, some escaping to Bridport. In its earlier years, the 18th Century Town Hall was used to hold Petty Sessions (Magistrates' Court). The upper story was a court for borough sessions, together with a room for the grand jury and also a council chamber. Underneath was a small lock-up for prisoners and a general market for butchers. It is also suggested that the name Bocardo is derived from Boccard or Boggard, meaning a 'Privy' (slang), the current position of the public toilets. However, we need to break down the term 'Bucky Doo' to discover another possible origin. We know that a male deer is called a buck, but a male goat is also a buck. Doo is sometimes used as a slang term for faeces. We also know that before the Town Hall was built, the area had pens to enclose animals for the cattle market. Perhaps a goat pen existed close to the Greyhound Coach House with a walkway between the two, providing access between East Street and South Street. If goats' faeces and urine washed across the path, people would have walked through the bucks' doo, hence the term 'Bucky Doo'. The area of Bucky Doo Square was used as a Corn Market until the beginning of the 20th Century and in 1902 the local fire engine was housed there, in a building in front of the Town Hall.